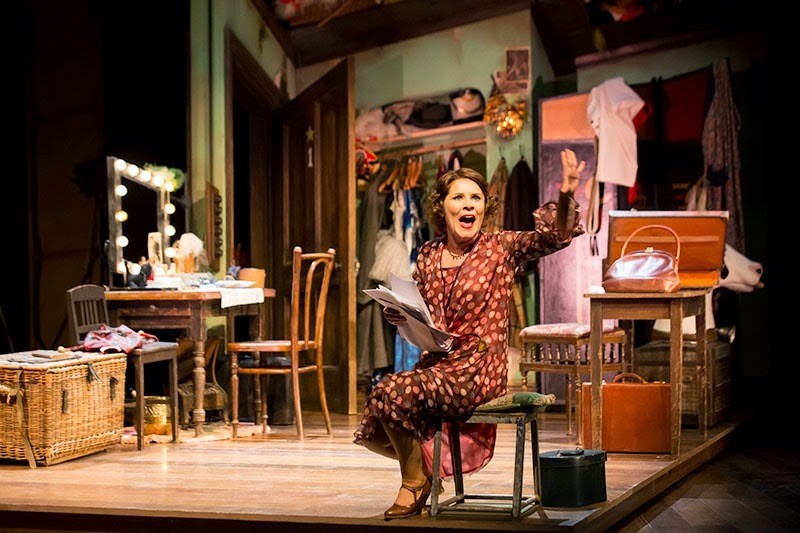 It is rare to see perfection improved upon, but in its transfer from Chichester Festival Theatre, Jonathan Kent’s Gypsy achieves just that. A highlight of 2014, the resonance of Jule Styne's big band brassy score filled the Sussex theatre's world class open stage. But Gypsy was written in and for the Golden Age of Broadway, to be mounted on a proscenium stage. 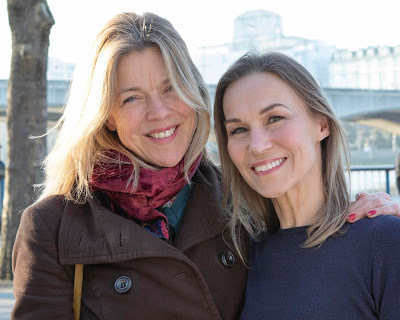 In re-sculpting their masterpiece to fit the Savoy’s traditional confines, Kent and choreographer Stephen Mear have excelled. Like a fine wine, Imelda Staunton's Momma Rose has matured since last year's press night. To this most complex of women (a role sometimes likened to the King Lear of musical theatre), Staunton now adds an even richer lustre. Not just a pushy mother, Rose is at once loving of her daughters yet insensitive to their needs, principled and yet shamelessly opportunistic and above all, endowed with the most monstrous of egos. Staunton owns her stage mastering a complex cocktail of passion, drive and ultimately the most fragile of vulnerabilities in a virtuoso performance. Stamping her mark on the show with a strength of voice that matches perfection in tone and an unbelievable presence, her comic one-liners are as perfectly honed as the pathos she wrings in her spot-lit solo finale, Rose's Turn. Truly, Staunton is now the finest female actor of her time. Lara Pulver is exquisite as the initially fragile and over-shadowed Louise. In Little Lamb, Pulver blends a painful poignancy alongside our horrendous realisation that she is a young woman whose emotional development is literally being stifled by her mother. In a performance of mastered subtlety, Pulver commands our sympathy throughout. Thrown onto a burlesque stage at a moment’s notice, Pulver makes her first faltering steps into small-town sleaze straight into a piercing white spotlight and her character’s awkward pain is evident. But when she emerges, sable clad in fame and fortune yet still able to comfort her distraught mother whose own dreams now lie shattered, Pulver breaks our hearts. Peter Davison completes the leading trio. New to the show, he brings a relaxed yet weathered and leathered credibility to Herbie that was the one missing link in Chichester. Davison can sing and move in line with his stature - and as Stephen Mear has already commented, the chemistry between Davison and Staunton sparkles. Gypsy’s gems are richly sprinkled amongst its uber-talented company, with Dan Burton’s Tulsa proving him to be as smoothly voiced as his body is lithe. Burton’s routine in All I Need Is The Girl oozes the coolest of romance, with Mear choreographing the man magnificently. Gemma Sutton's June hits the mark in the first half. One of the leading talents of her generation, Sutton imbues her over-mothered character with just the right amount of squeaky-voiced ambition, yet also despair. Top notch dance work from this talented young lady too. The three seen-it-all Wichita strippers played by the (far from veteran) Anita Louise Combe, Louise Gold and Julie Legrand, offer the show’s wryest perspective, with a world-weary wisdom not dissimilar to the tragi-comedy of Hamlet’s gravediggers. Their wonderful You Gotta Get A Gimmick proving gloriously and hilariously that womanhood is still to be celebrated after the flush of youth has faded. The kids on press night were a polished troupe, with Isla Huggins-Barr’s Baby June bravely and brilliantly dancing her socks off, winning the West End audience with a precocious charm. A nod too to Holly Hazleton’s impeccable Baby Louise, one of the few kids to transfer from Chichester in what is a challenging role. Anthony Ward’s design deploys ingenious scene shifts, framed within a chocolate box lid of a proscenium façade, whilst Nicholas Skilbeck’s direction of his 15 piece orchestra (all brass and wind, there’s no space for schmaltzy strings in this show) breathes a magnificence into Styne’s compositions that wows from the Overture’s opening bars. In an era when juke-box songs, fancy stage sets or stunt casting are frequently needed to sell seats, Gypsy marks (another) breath of fresh air in recognising the simple genius of a perfectly written show, exquisitely staged. Moments such as the jaw-dropping choreography of the Time Lapse Transition, Jerome Robbins' original Broadway routine, leave us stunned. Gypsy’s stage may have shrunk since Chichester, but like Babies June and Louise, this show has grown. Only in town for a few months, they don’t get better than this. Know too that in her Momma Rose, Imelda Staunton is offering the musical theatre performance of the century. To read my review of the original Chichester production, click here.